What an incredible day it was! 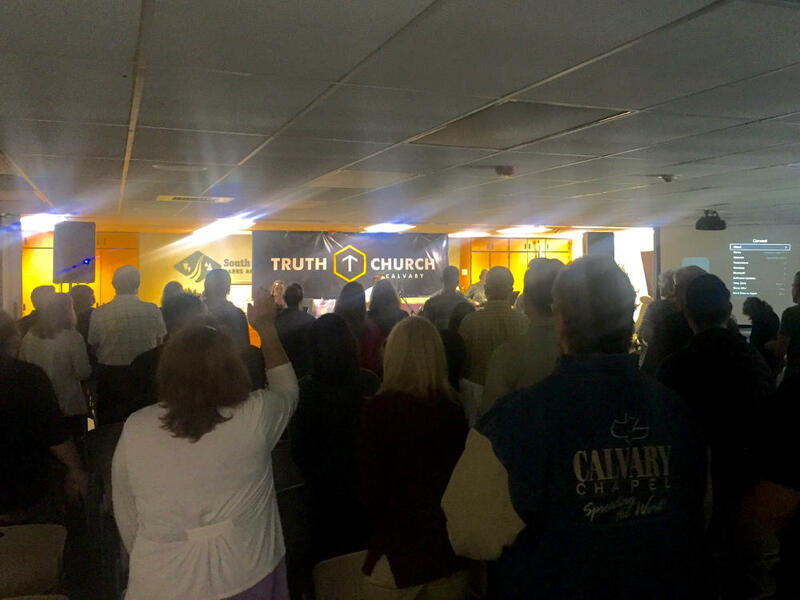 Nerves were going crazy after being up most of the night preparing for my very first TRUTH CHURCH message! We had no idea what to expect or how many people would show up. Once we finally got our new sound system setup, that’s when we started experiencing technical problems galore! And not just sound issues but our projector for the worship lyrics as well as my PowerPoint presentation…all of it started going crazy! At one point someone started singing acapella (God bless you, Sharen!!!!). But despite all the technical troubles, everyone was in great spirits! And what started out as a seeming disaster, God used for His glory! Several lives were committed to the Lord that day and new relationships were built. What a blessing our first service turned out to be!